Club Miata Vancouver Island started in 1990, after Island Miata owners were inspired by many of Washington State's Club Miata NorthWest events. Vancouver Island is located on the West Coast of Canada and is located in British Columbia. 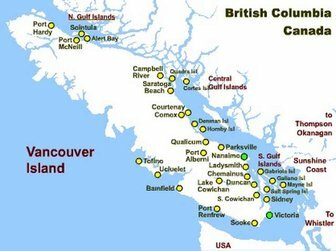 The Island boasts a population in excess of 765,000 and is approximately 460 kilometres (285 mi) in length and 160 kilometres (100 mi) in width at its widest point. As in 1990 when the Club first started, we continue to be dedicated to keeping the same goal of promoting enthusiasm for the Miata ownership experience through driving events, activities, and social gatherings. These ideals continue to be the key to our success as currently approximately 30 cars are in the Club today. Club Miata's membership has included Miataphiles from all over the Island, including Victoria and area, Cobble Hill, Mill Bay, Duncan, Crofton, Ladysmith, Nanaimo, Nanoose Bay, Errington, Parksville, Port Alberni, Qualicum Beach, Fanny Bay, Comox, Courtenay, and Campbell River. We're a very informal group, as we only have one meeting a year. Once you become a member, this is your club! We encourage all members to get involved in planning various activities and runs. Our Miata Club runs take twisty roads to the most interesting places Vancouver Island has to offer. We explore the natural beauty of Vancouver Island, experiencing the ocean shores, rainforests and parks throughout Victoria, Gold River, Comox Valley, Cowichan Valley, Port Hardy, Tofino, Ucluelet and the Gulf Islands. No matter where we travel, the emphasis is always the same ~ fun, friendship, and sharing the passion for our cars. 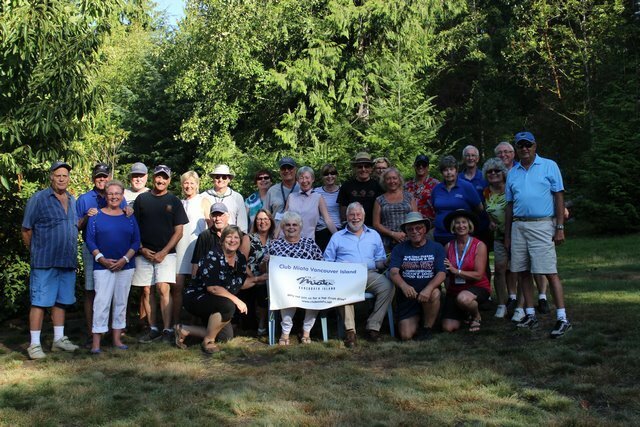 Member's excursions have not only ventured throughout Vancouver Island, onto the lower mainland of BC and into southern Alberta, but on various runs in Washington State, Oregon, Utah and Texas: all on some of the twistiest and most scenic roads imaginable. Not only are there day rides, overnight events, and various regular annual activities, there's even the odd impromptu ride. All the while, we've got our engines zooming and tops down, of course! The Best Upgrade to your Miata would be to join Club Miata Vancouver Island! Why not join us for a top down drive? for Membership Information and Application Forms.